Home / Information Center / Frequently Asked Questions / What is a Toxic Tort? A toxic tort is a growing area of law that covers a wide variety of injuries due to contamination, toxins and/or faulty medications or drugs. Some examples of injuries that would fall under toxic tort law would be lead poisoning, asbestos related injuries (mesothelioma), contaminated water, contaminated buildings, pesticides, catastrophic events, tobacco, radiation or injuries due to medications or medical devices. There are certain similarities that toxic tort claims share. First, the injury was caused by a dangerous/unsafe substance. Next, persons who came into contact with the substance became at risk for injuries (similar in nature). Usually, the extent of the injuries may not be known for a number of years. Additionally, the persons or entity responsible for the dangerous exposure are often numerous and difficult to establish based on the circumstances of the situation and the type of injury. If you do have a toxic tort claim, certain elements must be proven to the court in order to establish your case. The first element is that the plaintiff (the injured party or another individual making a claim on behalf of the victim) suffered exposure to a toxic substance. Secondly, the defendant (or defendants) is responsible for the victim’s exposure. 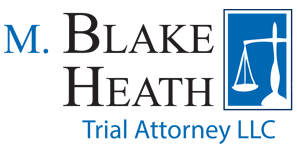 Generally, this means that the defendant (or defendants) action or nonaction contributed to the plaintiff’s injuries. Next, the plaintiff has suffered or is still suffering from injuries due to the exposure. Lastly, the toxic exposure is the cause of the victim’s injuries. If I Have Been Injured by a Toxic Tort, Who is Responsible? The party liable for your toxic tort related injury may vary depending on the injury, type of toxic tort involved and at what point the contamination took place. If you were injured by a dangerous product, the manufacturer, designer/architect/engineer, distributor or other retailer may be held liable; the parties that provide transportation of the dangerous product may be held accountable as well. Accordingly, if you were harmed by toxic waste, the company that disposed of the waste improperly, or property owners who did not dispose of waste on their land, may be responsible for your injuries. In other cases, the toxic substances may be in the materials of a building, causing something called “sick building syndrome.” This is an illness that causes negative health effects in individuals when they are inside the contaminated structure, but they regain health when they leave the building. In this type of contamination the persons who designed, supplied the harmful materials or constructed (usually contractors) the structure may be held responsible for injuries caused by the contamination. Less commonly, employers (including the government) may be defendants in a toxic tort claim, if the facts of your case allow. There are laws precluding employers from being held responsible for workers injuries due to exposure to hazardous materials, so this claim is dependent on your specific situation. If you think your employer may be to blame (or partially to blame) for your injuries due to a toxic substance, it is important to speak with an attorney knowledgeable in toxic tort litigation to discuss the facts of your case and determine the appropriate claims for you to pursue.